Do drones have to be creepy? Your 101 guide to why we find unmanned aircraft so unnerving. And what we can do about it. John Oliver once called drones “the third most annoying thing in the sky after mosquitoes and plastic bags caught in the breeze.” And in 2015, a poll showed that 42 percent of Americans oppose private ownership of drones. Why do people hate drones so much? The simplest reason may be that people are generally uncomfortable with new technologies. Drones are at once ubiquitous and relatively novel, having emerged only in the past few years. 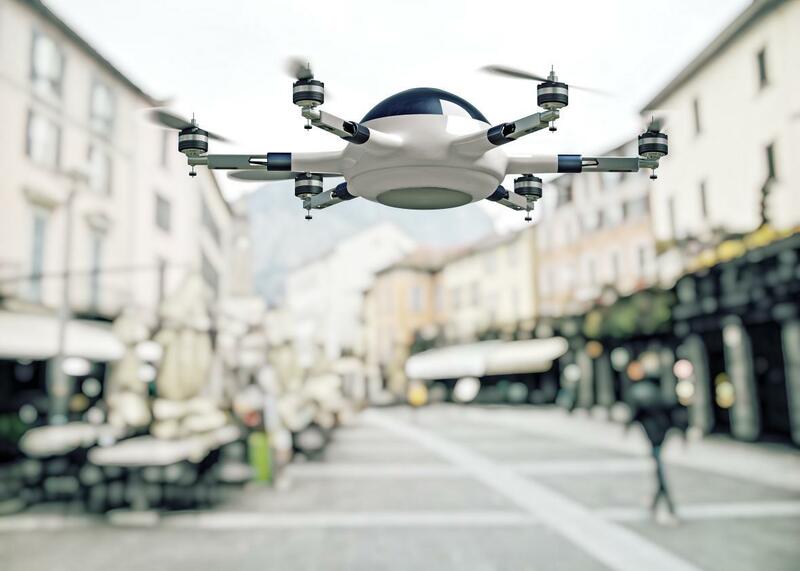 Consumer drones may seem like old-school radio controlled helicopters, but their ascendance is tied to the rise of wireless-enabled tablets and smartphones. Unmanned military aircraft, by contrast, have a lineage that stretches into the early years of the 20th century, but their place in the public imagination is much more recent, corresponding roughly to the post-Sept. 11 war on terror. All this suggests that we think drones are creepy because we don’t actually know much about them. Public anxiety about drones, in other words, appears to be at least partially contingent on public uncertainty about drones. Sure, but I’m less worried about what I know about drones than what drones might tell my neighbors about me. Aren’t people using drones to spy on one another? The threat of surveillance is central to the supposed creepiness of drones, though it’s not clear that it should be. As Justin Peters writes, “From the ground it can be hard to tell whether an overhead drone is or is not equipped with a camera, so most people just assume that the drone in question is an uninvited eye in the sky.” This is why we end up with contraptions like the nonlethal DroneDefender rifle that promise to allay our fear that anyone could be watching us at any time. Until we have a clearer way to assure that we’re not being watched, people are likely to keep trying to get rid of drones altogether. In practice, though, current drones are pretty terrible tools for spying. Their vaunted mobility and speed means that they can’t carry much additional tech onboard, so it’s a challenge to load them up with high-end photography equipment. They’re also typically noisy, which makes them lousy for spying on the sly. And even under the best circumstances, they have relatively short battery lives, so they’re not especially useful for persistent surveillance. To be sure, someone probably could use one to peer into your window at night, but they’d probably be better off with a ladder and a telephoto lens. That’s reassuring, but drones do play a central role in military intelligence gathering, right? What happens when that kind of technology finds its way home? Ultimately, it’s important to remember that military drones and civilian drones are fundamentally different at almost every level, sharing little more than that they fly and don’t require pilots. Some want to nix the word drone altogether because of its negative connotation—the industry and hobbyists hate the word because of its military association, but even some in the military dislike the term. However, there’s little agreement as to what we should call drones instead, not least of all because variants such as “unmanned aerial systems” can feel even more cumbersome. It’s important to remember that civilian drones aren’t weaponized—nor are government drones over the United States, despite President Obama’s notorious joke about taking out the Jonas Brothers. (There may be exceptions—as with a North Dakota law that permits police to equip drones with nonlethal armaments.) Beyond the question of weaponization, however, military drones boast surveillances capacities that raise a different set of concerns: In Unmanned, a study of drone warfare, William M. Arkin worries that this technology has extended the scope of our intelligence-gathering operations so aggressively that it’s no longer possible to determine where battlefields begin and end. But according to one line of argument, even if more powerful drones—like those in military usage—show up in domestic contexts, they may actually be good for privacy. University of Washington law professor (and Future Tense fellow) Ryan Calo holds that because they’re such visible signposts of increasingly pervasive surveillance technology, they may force us to have more public conversations about such systems. But drones don’t have to carry Hellfire missiles to be dangerous. I heard that some guy put a gun on his drone! What if terrorists get their hands on this stuff? OK, that gun thing is alarming. Some areas agree and have even moved to legislate against drone weaponization, though complex regulatory and jurisdictional hurdles make such laws difficult to actually enforce. Ultimately, though, the same payload and battery limitations that make domestically available drones crummy spying tools also limit their offensive potential for terrorists and criminals alike. Imagining a scenario where someone attempts to bomb the White House with the help of a drone, Calo has quipped, “Almost every credible threat you could accomplish with a drone, you could accomplish with a football.” That may be a little hyperbolic, but the point is an important one: Current drones are neither the most efficient nor the most effective means of doing damage. OK, so what are drones good for? Harvard-based researcher Faine Greenwood, a frequent Future Tense contributor, argues that they’re powerful tools for the democratization of information, since they give ordinary people unprecedented access to aerial imaging. There are numerous applications for that kind of data, but it’s been used for everything from protecting antiquities to monitoring crops. And though we’ve all heard about drones interfering with firefighters, they’ve actually played an important role in search and rescue operations. I buy that my neighbors’ drones probably aren’t spying on me, but I’d still rather not have them buzzing overhead. Can I keep them out of the sky over my property? In the United States, the Federal Aviation Administration now requires civilian drone pilots to register their crafts. (It costs $5.) It’s not clear that that initiative has been completely effective, partly because it’s much harder to regulate drones that people build themselves. Another possibility is geofencing, which restricts where drones can and can’t fly at the hardware level. While you can register your house to turn it into a geofenced no-fly zone, there’s no guarantee that manufacturers will follow through at this point. What’s more, the DIY-dimension is an issue here too, since there may be no way to enforce it on a drone that someone has assembled from parts that he or she purchased on eBay. In any case, not everything requires a technological solution: At a legal level, it’s difficult to keep people from flying drones onto your land, as California lawmakers found when they tried to ban low altitude flights over private property in 2015. Trying to take the law into your own hands is also verboten, since it’s a federal crime to shoot down an aircraft, whether or not it has a pilot. Plenty of municipalities have already implemented no-fly zones of their own, no firmware updates required. And in California, legislation has effectively criminalized the use of drones to photograph celebrities’ private property. Laws of this kind ask people to fly their drones responsibly, much as they would be expected to employ any other new technology with appropriate care. So drones don’t have to be weird, intrusive novelties. How can we get people to stop acting like they are? As they become an increasing presence, their strangeness will be normalized somewhat. Right now, we mostly think of them as either killing machines or mobile surveillance platforms, without much middle ground. In that regard, seemingly frivolous applications such as drone racing may make a difference, since they’ll serve to broaden our sense of what a drone is for and what it can do. Amazon’s plan to introduce delivery drones could also demystify drones, assuming it actually comes to fruition, since it would weave aircraft into our everyday lives. But it’s also possible that such a program would just make things worse, since it threatens to clutter our airspace in a way that might be unnerving, especially if the bots are truly autonomous. Making drones easier to fly may also help, especially given that virtually everyone who’s tried to fly a drone has a story about crashing a drone. Given that drones are still a niche hobby—and that niche hobbies tend to generate moral panics—lowering the threshold for entry should make a difference. Researchers such as Nathan Michael at Carnegie Mellon are working on solutions that would assist pilots, much like the semi-autonomous systems that are showing up in some cars. By contributing to collision avoidance and the like, they could make people more familiar with how drones work, even if they ironically do so by making their systems more complicated in the process. So you’re saying I’ll think drones are less creepy as they get more powerful? Where can I buy one of those anti-drone guns you mentioned? Why buy an anti-drone gun when you can just train an eagle?